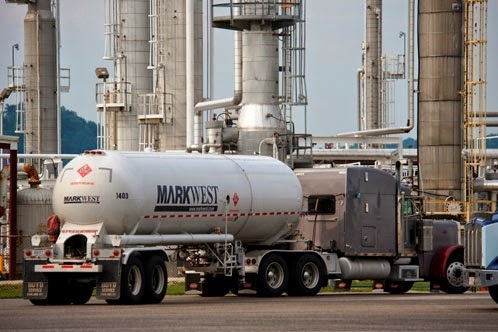 MarkWest Energy Partners, the region's predominant natural gas processor, already has 19 capital projects on the books, but it might need more to serve producers in the Marcellus and Utica shales. Chairman and CEO Frank Semple told analysts during the company's quarterly earnings call that it is evaluating the need for additional fractionation capacity to keep up with development of the area's rich gas reserves. Fractionation involves separating gas liquids into individual compounds: ethane, butane and propane. Semple said MarkWest (NYSE:MWE) intends to provide quarterly updates on the capacity needed to support development. "We will announce it as it's required," he said, adding that takes 12 to 18 months to complete a project. "So, as we speak, we are evaluating the next phase of fractionation expansion to support the continued development in the Marcellus and the Utica."